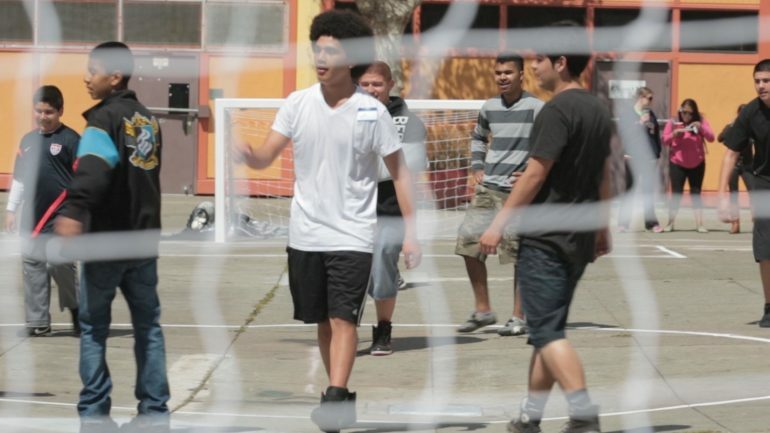 Futbolistas 4 Life takes you into the lives of two Oakland high schoolers: One is a college hopeful and DACA applicant who’s navigating the reality of his immigration status, and the other is an American citizen who lives in fear that her undocumented parents may be deported. These youth take solace in the game of soccer that lets them, if only for a moment, put their worries on the sidelines. The film also features the fighting spirit of their coach Dania – a former professional soccer player. At a time when Colin Kaepernick and professional athletes around the world have used their platform to speak out on injustices in the U.S., Dania also uses her role to help players understand the inequities that exist in their community. A former professional athlete and the daughter of political refugees from Chile, Dania uses her love for the game and her family’s own immigrant experience to connect with and empower her players. Futbolistas 4 Life sheds light on the overwhelming stress experienced nationwide by immigrant youth living in communities with high rates of poverty and violence – communities increasingly in the crosshairs of harsh federal immigration policies. Jun Stinson is an Oakland based independent filmmaker and a producer at AJ+. She has been a post-production producer and editor with Al Jazeera America, produced segments for Current TV and KQED, among others. She was also on the post-production team of the feature documentary Spark: A Burning Man Story that premiered at SXSW in 2013. Her work is published in the Washington Post, Associated Press, espnW, and SFGate.com. She is a former BAVC National MediaMaker Fellow and San Francisco Film Society FilmHouse resident. Jun was raised in both Oakland and Kobe, Japan and is a graduate of UC Berkeley’s Graduate School of Journalism.